Jen Padilla-Burger is a Licensed Marriage and Family Therapist, Certified Daring Way™ Facilitator, Yoga Instructor, and Bravery Coach. Let's get together over a cup of Chai to talk about friendship, saying what we mean, and living with intention. We'll also get into topics that are on our hearts, but sometimes we don't know how to wrap words around what we're feeling. 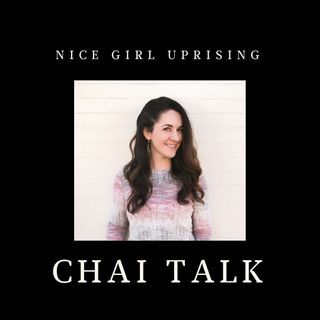 Nice Girl Uprising is a movement leading us to live a life that is Kind, Fierce, ... See More and Brave.